This car began life as a plain jane low option 1964 Polara 500, 318ci. car. V 42 HP block AQAA block. Edelbrock rpm 2 intake ,Holley 750 vacuum secondary. Bob K six pack cam,17 inches of vacuum. 70 489 rear with 3.23 sure grip. Trans done when Joel was on Joy, date coded big block. Input shaft changed for 23 spline Coan 2800 Stall . List is long after all it encompasses 15 plus years. Senior citizen owned and never abused. Original log manifolds, distributer, intake, and carter carb for 426 street wedge, radiator, ball and trunion drive shaft available. Last edited by 6T4 Polara; 03/14/19 02:19 PM. Last edited by terzmo; 01/01/19 07:33 PM. Wow. You say you have a Sports Fury? Talk about rare. not my car listing it for my friend call Marco do not message me. 1965 Plymouth Belvedere 1 Mopar Hemi 'Black Arrow' a tribute car of the famous Bill Jenkins 'Black Arrow' in which he won his first National event. 426 Hemi, magnesium Diamond Elkins intake, original carbs, torqueflite, Dana, Cal tracks, 4 wheel discs and many other trick and expensive parts. Dash signed by Grumpy, Butch Leal and the Ramchargers. $53,000 Call Marco 240 375 4329 located in Lothian Maryland. 1963 Dodge 2 door hardtop real Max Wedge stick car runs and drives currently in race trim. $35,000 Marco (240) 375-4329 located in Lothian Maryland. 1962 Plymouth Savoy 2 door post sedan real max wedge car restoration was started but needs finished $20,000 Call Marco 240 375 4329 located in Lothian Maryland . FOR SALE 1969 1/2 ROAD RUNNER.. $70,000 OBO.. PM ME OR TEXT FATTYA12@HOTMAIL.COM FOR DETAILS.. REAL NICE DRIVER AND FAST..
Last edited by greenmcode; 01/02/19 10:10 PM. 1969 A12 R.R. 11.61 117.96 F.A.S.T. STOCK STROKE..
Also available is it's numbers matching 1 of 31 4 speed L code (brown) brother with documentation showing 65k original miles. Fresh engine and only 2 of the 5 owners have driven it. Another daily driver by me. NO RUST on either car. Also $70k. Last edited by Spyphish; 01/02/19 12:55 PM. Last edited by 62econ; 01/03/19 02:21 PM. Last edited by 62econ; 01/03/19 02:26 PM. 1969 Coronet 500 9 passenger wagon with the original numbers matching 383 and automatic! This started out as a super clean Montana car that was parked in 1978 in a salvage yard and I have since got it roadworthy once again. Work done includes rebuild the top end of the motor (heads gone through) added a single plane intake, holley 750, headers, M&h engine harness, mopar electronic ignition, and some cool nostalgic valve covers. Trans was rebuilt, complete new fuel system tank to carb, brakes rebuilt with factory front discs and a 2.5" side exiting exhaust with glasspacks. Rear floor pans were rusty so new rear pans were installed. Lights were all gone through to also be legal. This is a super cool, odd car that will get a lot of attention. Haul 9 people to a car show or rent out as a school bus. Its not perfect, but its a solid, driving, big block 69 b-body. I have no clue what to ask as theres not a lot to reference. 7,800 and ill listen to any offer. Partial trades considered as well. Last edited by mopars_1; 01/06/19 03:37 AM. Also would consider trading for a nice '70 Charger R/T v-code 4speed car..
Last edited by hemi68charger; 02/16/19 02:23 AM. -383 pistol-grip 4speed WITH air conditioning - has later model 440 HP in it now. -Very unique car with respect to being triple black with air - heck, even the a/c system holds pressure. All the reverse lock-out system for the car is there and works perfectly. -Lower typical rust; lower quarters, driver's front floor pan and trunk. Very nice around rear window. -Mostly original paint and vinyl top. -Manual drum brakes, have original fender tag and broadcast sheet. Clear signed title. Last edited by hemi68charger; 03/04/19 11:55 AM. True 1967 GTX! The car is complete but is a project due to rust issues on the torsion bar cross member and frame rail. It has a 1968 440 engine that spins over but I have not tried starting it. 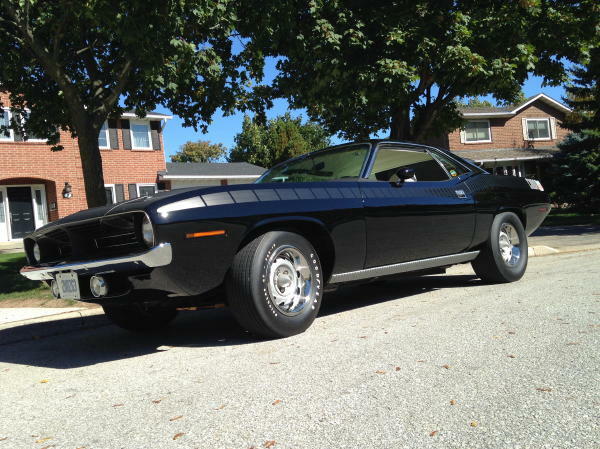 727 automatic on the column and 8 3/4 sure grip rear end. Bucket seats with headrests and buddy seat. Dash is in real nice condition and has factory clock. All the stainless is there and in decent shape. The hood scoops are from a 69 super bee. Clear Illinois title in my name. $5000 cash buys this project. Well the day has officially come that I’m going to list one of my all time favorite cars for sale. Sometimes life forces you to do some things you’d rather not do. 63 plymouth Belvedere post car. Mild 440 short block with max wedge heads, original max wedge intake, correct factory carbs, thorley headers. Engine was just apart and checked out this fall has about 25 miles on it. Tci pushbutton 727 trans and tci converter. 8.75 rear end. Interior is very nice. Has original door panels, reproduction factory light weight seats with original brackets. Built the car to resemble a factory race car. Heater delete, radio delete. Car is very very nice paint is fresh, underside is every bit as nice as the top. Needs a couple little things to really finish it off but great fun car for shows or cruise nights. Don’t see many like it. Price is $33k OBO. Message me through here or call or text 605-216-8959. Last edited by rryan5429; 01/14/19 01:43 PM. This Charger is an excellent example of a low mile survivor. The original A4 paint is in excellent shape. There are a few areas with some chips and dents but definitely don't require this car to be repainted. The engine bay, underside and trunk Ares are original and in excellent condition. The interior is all original and in perfect condition. The drivetrain is the numbers matching components and is in operating condition. The original rims are still with the car. The car has its original build sheet and fender tag. 95000US Please contact for more information. This was a long term, extremely high dollar restoration that I have owned since 1996. The friend I bought it from owned it for the 15 years prior. Due to some medical issues and a few other things, I just can't find the time to enjoy the car anymore. It hasn't let my heated warehouse in 3.5 years. With the complete restoration taking nearly 17 years, I have really only put about 300 miles on since the restoration was complete. 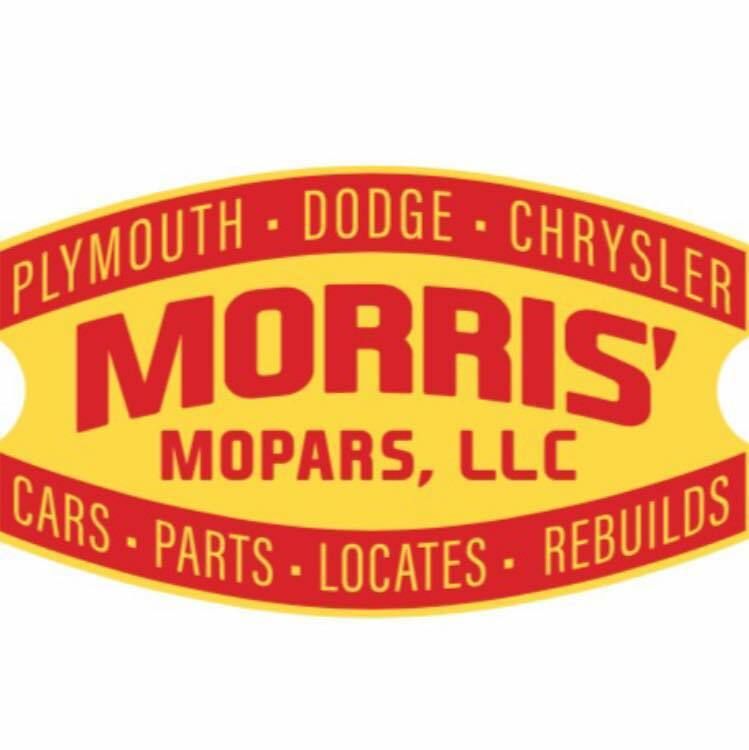 I have restored old Mopars for 45 years until my health stopped me. This restoration was professionally completed about 6 years ago. I took it to two car shows and won trophies at both. The first show won FACTORY MUSCLE CAR Class. At the second show, I won Best of Show, so this is a proven show winner. Basically everything is new on this car; engine, transmission, rear end, and complete suspension. Because the car is black, you can look at it and see how straight the body is. I personally know that you could never duplicate this car in this day and age for less than $60,000. And even then, it may be impossible to find all the NOS parts that are on this car. I have put a lot of thought into this and I will sell it for the closest offer to $45,000. You will also get all the extras that go with it. If you need any additional pictures or information, please let me know! Restoring my 1965 Plymouth Satellite is finally “finished” after seventeen years. The restoration has truly been a labor of love over this very long time for me, despite health issues and having thirty-four surgeries during that time period. In fact, I started calling my Plymouth “Widow Maker” because I was not sure that I would ever get the restoration finished before I went belly up for good. However, my oldest daughter married about the best paint and body guy you could ever find and together we finally got around to finishing this Mopar at his personal shop at their house. I restored this Plymouth as a tribute to a good friend who drag raced it for about 15 years in the B Factory Experimental class before I purchased the Mopar from him. Sadly, he passed away from stomach cancer two months before the Plymouth was completed and he never got to see the finished product of all our hard work. He would have been especially tickled when he looked at the rear side windows where I had the original drag strip decals they used to give out reproduced for the six tracks that he used to run on, along with the official NHRA Decal. The glass also has the white Drag Race Class and Time Decals for the best time this car ever turned at a track. However that was with a whole lot stouter big block than I have in the car and that version also had an automatic race-built transmission at that time with a Trans Brake and 4.56 rear gears and slicks. I guess the Plymouth would be classified now as a “day two restoration,” something like was done all of the time back in the day to personalize your car to your own tastes right after bringing it home from the dealership. The Plymouth now has a 500 plus horsepower 426 wedge engine with dual 625 CFM Carter four barrels, a full max wedge factory header exhaust with side dumps, a 4-speed transmission and a 3.91 SureGrip rear end. The carburetors are topped off with the old football-shaped Mopar dual quad air cleaners that have been chromed and the hood sports the HEMI hood scoop added to accommodate the air cleaners. The Mopar has an original AM-FM radio with the rear seat speaker. The Satellite features new traction bars, adjustable pinion snubber, frame connectors, original style reproduction battery, hidden electronic ignition, new old Stewart Warner gauges and console tachometer. The entire drive train has been rebuilt as well. The Plymouth has BF Goodrich tires front and back, 235x60R15 fronts and 275x60R15 rears, mounted on original Keystone Classic’s — 7 inch fronts and 8 inch rears. There are enough NOS parts on this Plymouth now to break Fort Knox, but I also have an original 1965 dated 426 Street Wedge engine, original glove box door, original shifter knob, original 14 inch wheels with NEW 215x75R14 inch whitewall bias ply tires, original dual exhaust and the original spinner wheel covers to put this thing back to completely original condition if someone wants to do that in the future. Thanks for looking at my Classic Mopar! Last edited by sat65; 01/17/19 07:27 PM.